SAN QUENTIN, Calif. -- A man sentenced to death for the first-degree murders of two people on the University of California at Santa Cruz campus in 1981 died at an outside hospital on Tuesday, according to the California Department of Corrections and Rehabilitation. 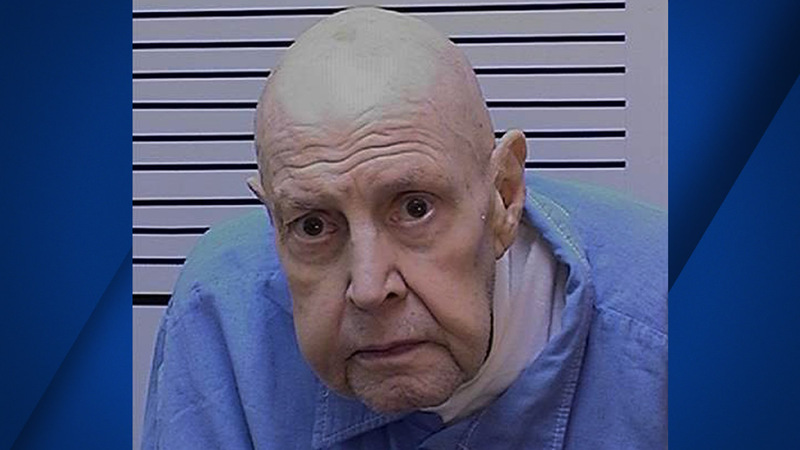 Royal Hayes, 81, was on death row at San Quentin State Prison for the killings of Lauren de Laet and Donald MacVicar. A Stanislaus County jury found Hayes guilty in August of 1986 for the acts done under the pretense of receiving cocaine for a payment MacVicar had given Hayes, according to the CDCR. Hayes lured each victim individually to a remote location on the university campus where shallow holes, in which they were to be buried, had been prepared, correctional officials said. The victims were told that they had to be searched before the delivery of the cocaine was to occur. Hayes shot them both in the back of the head when they leaned against a tree to be searched. CDCR officials said that Hayes was also convicted of assault with a deadly weapon, possession of a controlled substance and false imprisonment after his two accomplices, Deborah Garcia and Diane Weller, testified against him in court. Hayes had spent nearly 32 years on death row when he was pronounced dead at 2:34 p.m. on Tuesday. The cause of his death is unknown pending the results of an autopsy, correctional officials said.